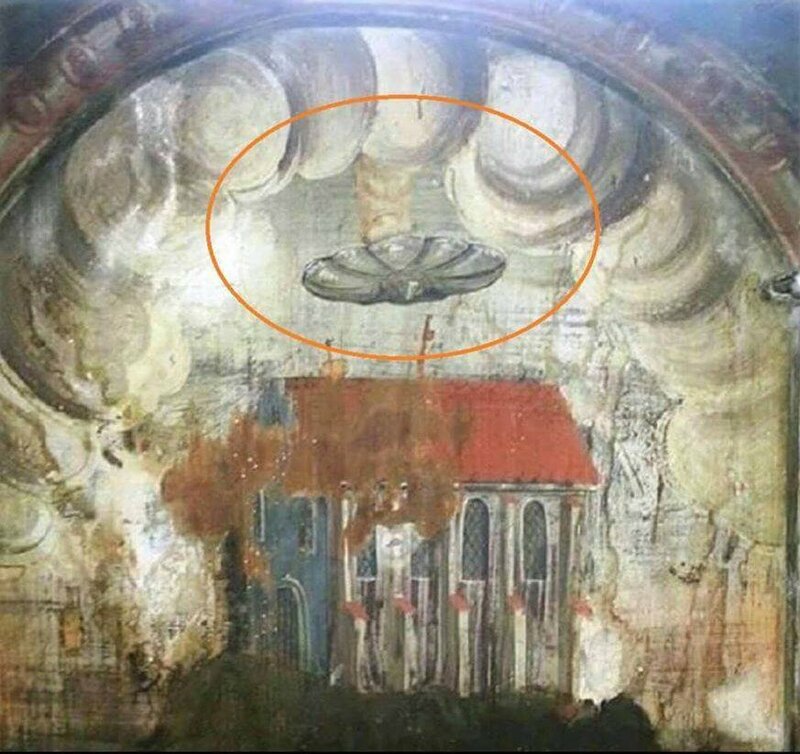 A strange disc pouring smoke and hovering over buildings has been found in a monastery wall painting thought to date from the 16th century – and UFO researchers claim it is just one of many old paintings which seem to show evidence of visitors from another world. The image is painted on the wall on a 14th century church in Sighisoara – thought to the birthplace of Vlad the Impaler, the historical figure on whom the Dracula legend is based. The caption on the painting says, ‘Israel, put your hope in the Lord,’ and the image is thought to date from just after 1523, when the Bible was first translated into German. UFO experts have drawn a comparison with other well-known paintings which seem to depict flying saucers, such as the 1710 painting Baptism of Christ by Aert de Gelder. Certainly, symbolism and artistic license is at work but whether they are based on ‘real’ sightings or belief in UFOs from other realms, or not, they still give us a sense of wonder and have a powerful impact on our psyche.